"The vertical threads are the passing days. The horizontal ones are the lives of mankind. The people of Iorph live far away from the lands of men, weaving the happenings of each day into a fabric called Hibiol. They live for centuries, yet maintain their youthful appearance. For this reason they are known as "The Clan of the Separated" and are treated as living legend. Maquia, an orphaned Iorph girl, lives in an oasis surrounded by friends, but somehow feels "alone". But the tranquil lives of the Iorph are shattered in an instant when the Mezarte army invades their territory on a dragon fleet, seeking the blood that grants the Iorph long life... "
Maquia: When the Promised Flower Blooms is the highly anticipated high fantasy epic and the directorial debut of renowned scriptwriter Mari Okada (Anthem of the Heart, Anohana, Toradora). The film features the talent of Akihiko Yoshida (Final Fantasy XII) and Yuriko Ishi (Kuromukuro) in both character design and animation director respectively. Maquia was animated and produced by P.A. Works and has been distributed to the west by both Anime Limited for the UK, and Eleven Arts Anime Studio for both Canada and the United States. It is always fun to experience an anime film that is just that, a film. Not tied to any ongoing series or manga but has equal enough potential to evolve into other forms of media. Or even to stay just as it is. A story that chooses to explore an idea or concept of the human experience and turn it on its head. Allowing even familiar experiences or ideas to feel brand new. 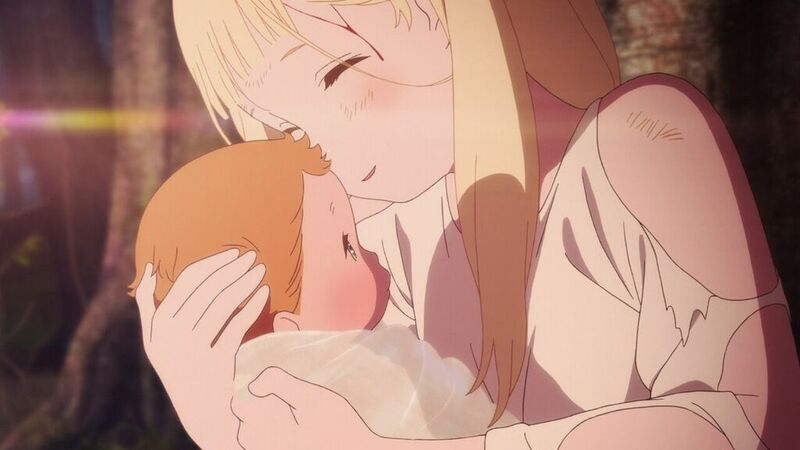 While films exploring the challenge of motherhood have definitely been tackled before, Maquia's unique approach to this theme hits all the emotional highs it needs to while also presenting a beautiful fantasy setting ripe gorgeous backgrounds. As a fan of Okada's previous works ("Anohana: The Flower We saw that Day" being one of my all-time favorite series), I was curious to see how she would approach directing a film. While writers can eventually graduate to directing, it is not something that happens very often, particularly in the world of animation. Without a strong visual style, would she be able to make her mark against other up and coming animation directors or established veterans? The answer, in my honest opinion, is yes. When I settled in to watch Maquia for the first time, the experience felt like having a series of ocean waves roll over me. Sometimes it was pleasant, sometimes it was a little disorientating, or upsetting but never to the point where I felt I needed to get up or walk away. Never quite knowing what would be coming next but excited enough to see what would eventually come. It was only after the experience was over that I was able to really ruminate on what happened and let the emotional journey sink in, to the point where even a week after seeing it I am still processing it. As proof of her writing talent, I would consider the story to be Maquia's strongest element. Despite having only a little under two hours to explore an entire lifetime, the film is able to pull us into the character's struggles and care about what will eventually become of them. Maquia, in particular, is a wonderful character to follow. While she does not physically age over the course of the movie, it is remarkable how much she “grows up” over the course of the film. From a timid young lady, unsure of the world and what it means to be a mom, to a woman who accepts one of life's biggest hardships (saying goodbye to a loved one) with grace. We also get pulled into the dilemma of her adopted son, Arial, as he grows older. Going through the motions of growing into manhood, all the while knowing his adopted mother will never age. Forcing them to constantly move, find new jobs, and even inventing new public identities (they pretend to be siblings when they are physically the same age). It was at this point in the movie that I became concerned about how the film would handle these characters' relationship. In the hands of a lesser writer, it would be easy to dwell far too long on the character's emotional confusion of how their relationship would have to change. Thankfully, Mari Okada is an excellent writer and is able to communicate this conflict without going into uncomfortable territory for very long. The fantasy world that Maquia inhabits is big and beautiful. With detailed backgrounds that took my breath away and soft character designs that were very pleasing to the eye. Though I would say that there is nothing about the style that really defines it (like a Ghibli, or Hosoda film does), I believe the visuals synch perfectly with the story being conveyed. With wonderfully realized animation and lighting that makes this strange new world feel like something out of a picture book. 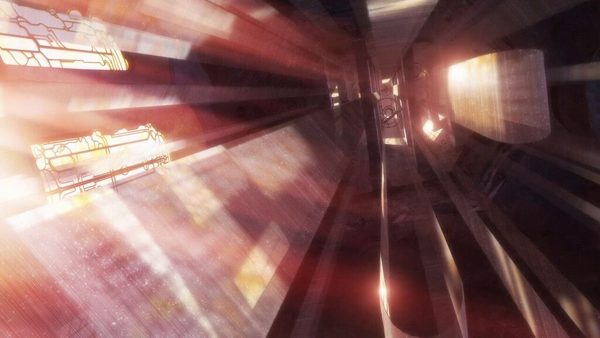 It is also worth noting that while there is CG animation used in the film, it is used sparingly. Punctuating certain shots to make them feel bigger, but never to the point that they feel clunky or out of place. Though the animation may not have a lot of spectacle to it, I still consider this to be one of the more beautiful anime films I have seen. Able to stand toe to toe with some of the best anime films of recent years. 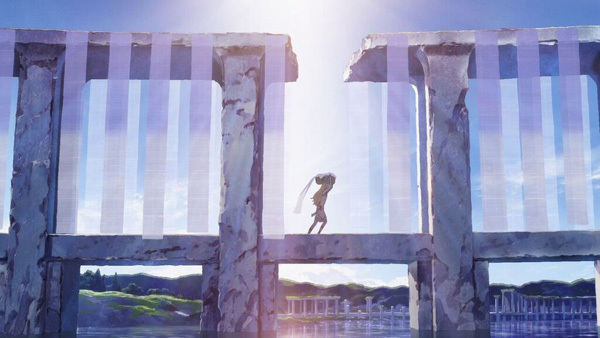 As Okada's directorial debut, Maquia exceeded my expectations and paints a very exciting picture of what this talented writer/director will be capable of in the future. I'm already eager to seek out her earlier works that I have yet to experience in anticipation for whatever she may be working on next. 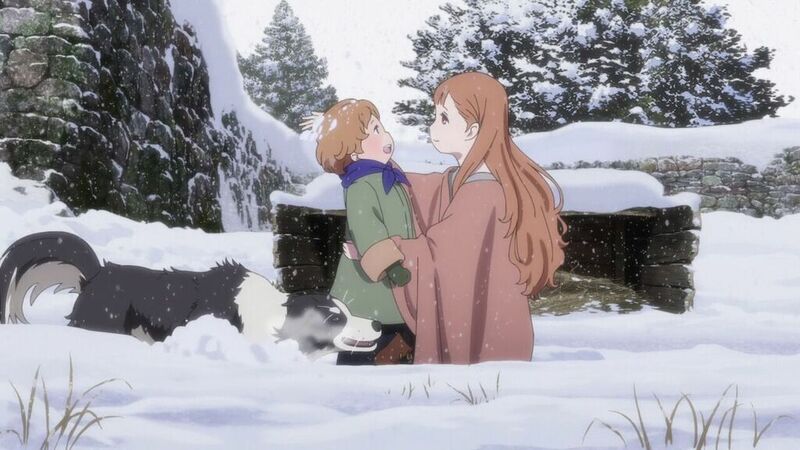 But for now, all I can say is that I highly recommend viewing Maquia: When the Promised Flower Blooms to any anime fan who is willing to give it a try. IN A NUTSHELL: Love and loss intertwine to weave a magical experience. A big thank you to Eleven Arts Anime Studio for providing an early screening of the film and this exclusive clip! Don't miss the chance to see this film in cinemas if it's playing near you: Find a screening here. Don't forget to participate in the Maquia Sweepstakes! Look here to find out how to enter to win a signed movie poster by Mari Okada.